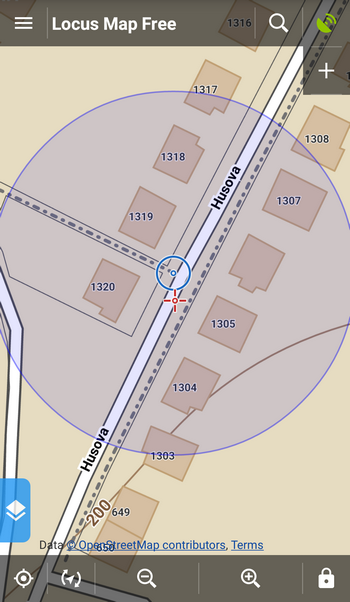 What are map objects and how can I set them?Locus	What are map objects and how can I set them? You can visualize a lot of things above the map in Locus. Geocaches, your planned routes or recorded tracks, all of them comfortably hovering above any map you choose from the map manager. You can even pin another map above the background one or a paper one that you have previously scanned. Besides all these Locus can display plenty of auxiliary tools that help you get oriented, make you aware of your location, speed, movement direction and phone rotation, distance of objects on map etc. Of course all these sidekicks together on map make a decent mess and only a true Locus freak will have all of them switched on at once. Now we’re going to go through them one after another and you will then decide which ones to switch on and which ones you don’t need for your outdoor fun. Scale is a classic item that has been part of maps for ages. It brings the map content into a real context – you see that a certain exact span on the map corresponds to a certain exact span in reality. In Locus it’s rather a relict of the past as there are much more options of measuring distance in a much more exact and detailed way. Old mappers, however, would miss this feature, that’s why it remained. Almost every parent notoriously knows the question kids always ask when the family is traveling somewhere – “And when are we there? ?” This tool helps to answer. Based on your recent average speed it calculates the distance you will travel in 1, 2, 5 etc. minutes. And in any direction. You’ll orientate in unknown terrain much easier with this tool – the landscape character often deceives your ability to estimate distance. For instance, the watchtower over there looks like at your fingertips, whereas, it’s two kilometers away and prettily up the hill. 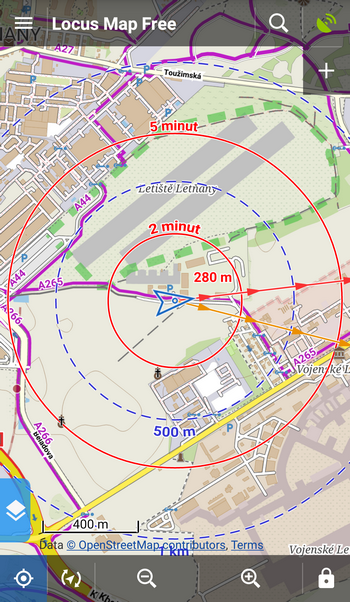 Of course, it’s beeline distance… besides the scale it’s another way how to measure distance on the map. 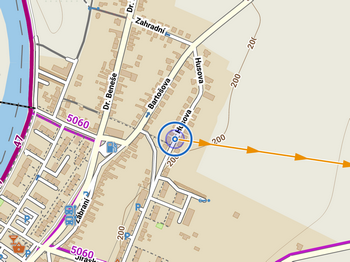 Rather than an orienteering tool this serves for displaying geographic value on the cursor position – elevation. By shifting the map under the cursor you immediately know elevation of various places around. For the proper functioning of this tool you have to download elevation data of the particular area or be online – Locus downloads elevation values itself from Google. POI – points of interest, are all points in Locus that carry some additional information that can be displayed by tapping on them. If you visualize some points in the points manager and there are many of them together in some place this option groups them under one icon with a number describing amount of them in the group. Clarity and readability of the map is therefore maintained and you are aware where and how many points are situated. 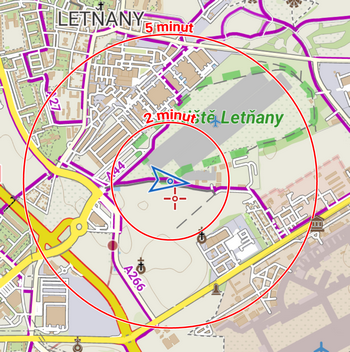 Another option how to measure distance between you and any place on map quickly and accurately. When this option is checked a line stretches between your GPS position and the map cursor with its virtual length and bearing. If you need to visualize exactly your targeting on the map provided you’ll go directly straight, check this. It can be very useful for sailing and other water sports overall as it helps to maintain your exact course. It’s actually a prolonged indicator of your device orientation direction. It helps with orienting on the map when you know precisely what lies in what direction. What’s the name of that hill? Aim your mobile on it and look at the map screen – the line crosses your target. With this auxiliary equipment you’ll become a king of orienting on map and in terrain! 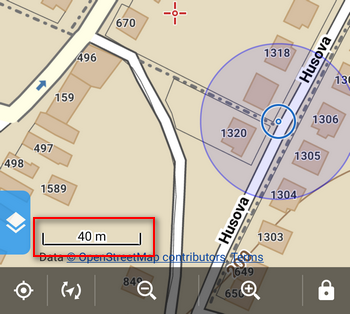 I am trying to create an application which can take input from a geocode of map, when a person selects a point on a offline map. If your application can be used as such or if you have any pointers on such a use case -it will be appreciated. your inquiry is quite specific for a website discussion. 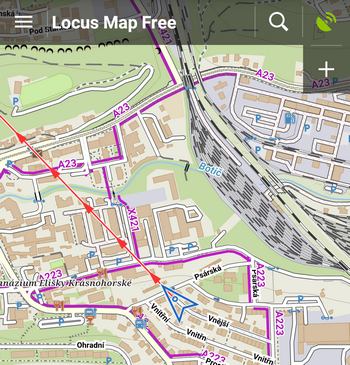 Please post your query at help.locusmap.eu where Locus developers will take care of you. Azimut není úhel sklonu, je to vodorovný úhel mezi směrem na sever a směrem k vybranému bodu měřený ve směru hodinových ručiček. Šlo by tohle možnosti dát do “rychlá nastavení”? v rychlých nastaveních máte časové a vzdálenostní kruhy, dynamické výšky a seskupování POI. 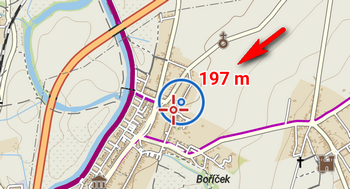 Jedině spojnice mezi kurzorem a GPS tam není, zjistíme u vývojáře.